As chief wellness officer at the Cleveland Clinic, there are two things I do every day to protect my health—I really get my heart pumping…and I eat three small pieces of 72% cacao dark chocolate! By now, most of you know that dark chocolate offers many health benefits. Enjoying an ounce a day correlates with less depression, better heart health, fewer strokes and reduced rates of system-wide inflammation. Latest research findings: Dark chocolate even curbs appetite and improves gut health. But which forms of chocolate and which products are the most healthful? Cacao beans are what’s used to make chocolate products. These beans are brimming with polyphenols (including flavanols and resveratrol), which act as antioxidants. Polyphenols enhance the production of artery-relaxing nitric oxide, blunt the effects of free radicals and turn on beneficial genes. 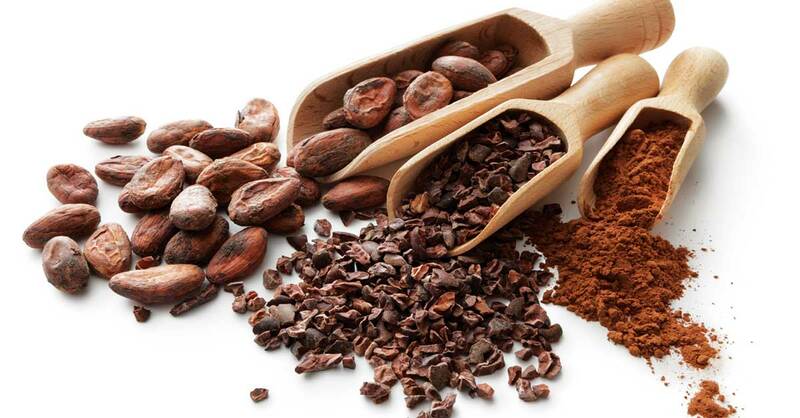 Once cacao beans have been fermented, dried and roasted, they’re chopped up into cacao nibs (which are like chocolate chips minus the added sugar and fat). Cacao in this form is fairly bitter due to its high concentration of polyphenols, so manufacturers sometimes decrease the polyphenol content. The nibs are then mixed with sugar, milk and other ingredients—milk chocolate has more of these ingredients…dark chocolate has less. Cacao nibs can also be ground into raw cacao powder, a fiber- and nutrient-rich superfood. Cacao powder often undergoes additional processing to give it a smoother taste, but this processing strips it of much of its nutrients and fiber (this is known as Dutch-processed cocoa). Bottom line: The higher percentage of cacao beans in a chocolate product and the less processing involved, the higher the polyphenol content. To maximize the health benefits from chocolate, the key is to choose chocolate (nibs, powder or bars) with 70% or more cacao and little or no added sugar. • Get a boost by adding apples, walnuts and more. Like dark chocolate, fruit is also high in polyphenols, so eating the two together is extra-healthful…plus, fruit helps to balance out the bitterness of dark chocolate, so less sugar is needed. I particularly like my chocolate with berries, orange slices or apples. 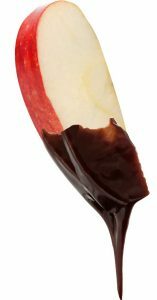 New finding: When paired, apples and dark chocolate are uniquely powerful, having been shown to lower blood pressure and inflammation. Be sure to eat organic apples (to avoid pesticides) and consume the peel of the apple, which contains the most beneficial nutrients. cinnamon/chia and cranberry/chia dark chocolate bark. • Fun ways to incorporate cacao powder into your diet. I like adding unsweetened dark cacao powder to spicy tomato sauce and to black beans seasoned with cinnamon and hot sauce. Also: To make a heart-healthy chocolate mousse, I purée six dates, one-half avocado, four tablespoons of high-quality cacao powder and one to two teaspoons of water. It makes two delicious servings. The dates are a rich source of potassium and other minerals, and the avocado provides omega-3 fatty acids. Good Cacao powder products: CocoaVia Unsweetened Dark Chocolate Powder, which can be mixed into skim milk, coffee or smoothies or used in the recipes above ($44.99 for 30 packs, each pack contains 375 mg of flavanols)…or Navitas Naturals Cacao Powder ($9.99 for eight ounces). • For snacking. My favorite chocolate for eating by itself is Featherss Dark Chocolates. Each disk is 72% dark chocolate and just 22 calories ($18 for a 52-piece box). More great chocolate choices: Theo 85% Dark Chocolate Black Rice Quinoa Crunch Bar ($4 for a three-ounce bar)…or Lindt 85% Cocoa Extra Dark Excellence Bar ($3.99 for a 3.5-ounce bar).